I'm not liking several things about pie. *Navigation bar. Apparently my choice is to have the bar there all the time or to have a condensed version. Either way it's on the screen now when before I could hide it and only summon it if I needed it. I feel like they took away some of my screen. *Multitask/Recent apps is less functional. I could see several cards at once before and quickly know how many I needed to go through to get to the app I wanted. Now I can only see one at a time. I feel like I have to go slower looking for the app I want to pull up. *Splitscreen isn't as streamlined. It takes and extra tap to get two apps open in Splitscreen and if one of the apps I want isn't in the recent apps que I have to type in to search for it instead of the easier look through the list set up they had before. Getting an app into pop up view seems easier now, but overall this process is less convenient. *My always on display is now only on for a few minutes. IT'S NOT AN ALWAYS ON DISPLAY ANYMORE THEN IS IT! To be an always on display it need to be always &@#$ing on. I glance at it all the time and now I have a blank screen I have to touch before I can see what time it is. *Fortunately the problem of my phone imagining there was water in my charging port was easily corrected with a restart while plugged in, but that was briefly a big annoyance with the update. These are complaints after just a couple hours and I'm not talking about minor annoyances like changing the look of things for no apparent reason since that doesn't change how it works and I'll get used to it I'm sure. I can't understand why there seems to be this compulsion to tinker with things that are working really well. I can only help with issues 2 and 4. You can download the good lock app and that night help with the recents thing. For the aod is probably set on the option where you have to tap the screen to turn it on. Go into the aod settings to choose the option for it to always be on. I don't see any of these are issues except the last one related to water. With pie Samsung moved or consolidated expert functionality to Goodlock and I can execute better with more customization now. Pie is much better. I guess with samsung specific functionality moved to Goodlock, updates may be bit quicker (just my 2 cents). 2. This is a Google decision, not Samsung. What you're seeing is Google's multitask setup. Allegedly a Google Policy made it that way that Samsung can't modify it out of the box. You can bring back Samsung's old functionalities via Samsung GoodLock's Task Switcher plugin. There's also options there for changing the view of the multitask to grid, list, card stack. Download from Galaxy App Store. 3. GoodLock's MultiStar Plugin improves on this and brings back several of the old multitask functions of Samsung. 4. Settings>Lockscreen>Always On Display>View Mode>Always On. By default it's on Tap to Show. Well basically all your complains are stuff Google decided to make Pie do, not Samsung. strikeIII and Manson79 like this. DWS44 and strikeIII like this. I can't recall ever wanting, wishing or waiting for any update. There is always the fear of a bad update, be it bad "improvements" or actual issues like battery drain and broken services. recDNA and Climb14er like this. It was just a joke... While you may not have wanted or wished for this latest update, you can bet your bottom dollar that this forum was packed with people, (including myself), who couldn't wait for it. And as is always the case, after the update those same people, (including myself) come back to this forum and complain in some fashion how the lastest update broke this or changed that. Hence, Evil Monkey. strikeIII and justafew like this. Apologies! I had just awakened and am not sure what I was thinking. 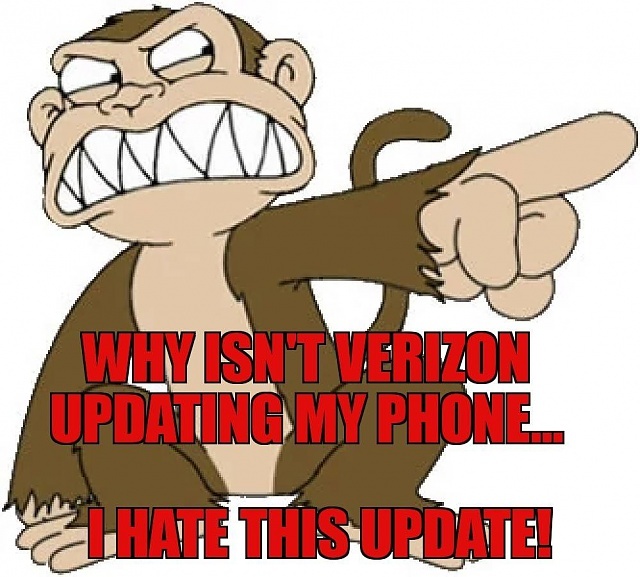 I do have strong feelings against these "updates" that are forced upon us and have to either jump through hoops to prevent or take it and deal with the "features". I don't understand why there is no choice in acceptance of an OS "update". If it's the icons, just go settings>wallpapers and themes>icons. Download a new icon pack. To enhance split screen use good luck. kevinpleasants and Harlemknight like this. Ok I need to know lol... What is llama? It's a task app for your phone. Things like: When I get home it automatically turns on Wifi and when I leave it shuts off. It turns bluetooth on when I connect to my car, turns off when I am not. So many different things you can tell it to do. I searched for it on the Google Play store, but it doesn't show up after the update. I think mine was already on my phone so it stayed there. It seems to be working fine though with the Pie update, even though the pop up said it wasn't compatible. Is Llama better than Automate It? Llama would not show in my Play Store. I actually had to Google it. It looks like Llama is only for location based rules. Llama would show in my Play Store. I actually had to Google it. I prefer using Samsung's Routines. Or if needs more specification, Tasker. pizza_pablo and Harlemknight like this. I'm having a laundry list of issues come up as well, though honestly I am so frustrated I can only remember a few. While listening to music, if I shift to a game app, suddenly it jumps in sound. I am constantly prodding my volume up and down to keep it low while I work so that I can hear other things. My recent apps disappear from the menu bar if I use it too often, and become and icon at the bottom. I hate that. I have had a note since the 3s and love the old sifting through it took only seconds. Bixby is STILL always lurking! Last phone I was able to shut the whiny bleep up once and never have to worry about her again. Pleeease I just want her gone. I prefer Google weirdly enough. I have the high contrast keyboard on so I can see what I'm doing because I'm old and crap. The damned thing has a notification I can't turn off in my drop down menu when it didnt use to. Why do I want to keep that up? I k now the dang thing is on! I will say though that my battery seems to be working a whole lot better. Seems Android name level updates are almost arbitrary, and the wheel keeps trying to be remade. Big old diminished return curve as far as value add at this point. Wish they got rid of the warning of listening at too high a volume being harmful. It comes back once after you restart. That should be fine. How can I disable all themes on my Note 9 after Pie update?